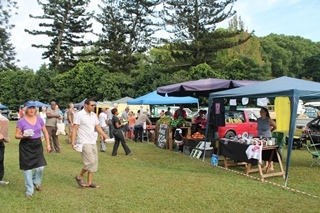 A weekly Farmers’ Market takes place every Saturday morning. See the events page for more details. 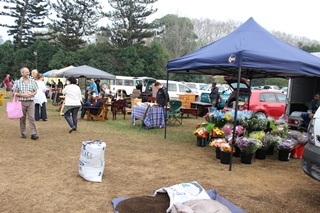 The Pietermaritzburg Farmers’ Market was started by Mrs. Clifton in September 1991 with the help of the farmers in the area. It consisted of just 12 stalls. 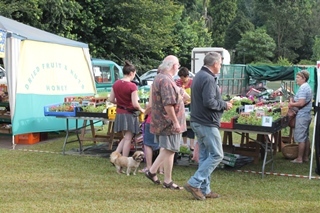 The market was held every Saturday morning from 6 am behind the N.C.D building (now Afgri) in Victoria Road. 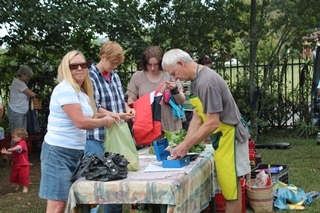 The market developed very quickly and it soon had to be moved as it caused major traffic jams! 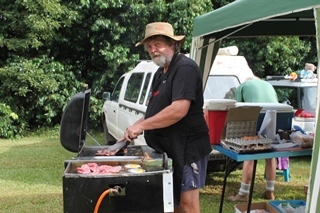 Confectionery and bread, dairy, eggs, fruit, juice, meat products, mushrooms, nuts, honey and various condiments, pet food, preserves, take-away food and a tea garden, vegetables, beef, lamb, pork and poultry, pies, cakes and biscuits, jams, marmalade, pickles, olives and olive oil, tea, cheeses, butter, yoghurt, milk, cream and cream products, compost and manure, cut flowers, seedlings and various plants. After stocking up at the Market, we suggest a visit to the garden retail nursery, or restaurant or a stroll around the garden. 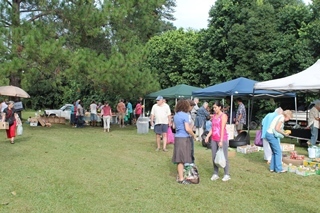 Visitors might even want to enjoy a picnic of goodies from the Market.